Traditional as traditional comes, Shiren the Wanderer was one of the pioneers of the modern roguelike Mystery Dungeon subgenre. The first game landed right back in 1995 on the Super Famicom in Japan, and while we see shades of that game in so many more innovative roguelikes since, what has been most appealing about Spike Chunsoft’s packhorse is that it has been quite content to stick to tradition. Related reading: An alternative Mystery Dungeon game well worth considering on PlayStation Vita is Sorcery Saga. Clark's full review. 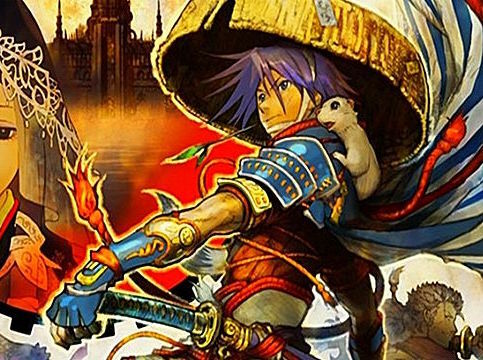 This new Shiren the Wanderer, Shiren the Wanderer: The Tower of Fortune and the Dice of Fate (wow, that’s a mouthful), does absolutely nothing that previous Shiren games didn’t do. 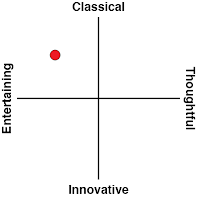 And this is one of those rare occasions where that’s a good thing, and a complete lack of innovation is quite okay. Narratives have never been what roguelikes do well, but Shiren’s is quite delightful in a minimalist manner. The titular hero and his pet weasel find themselves wandering into in a remote village, where a pretty young girl has found herself sick and on death’s door, despite having done nothing to deserve such a fate. That girl’s love-to-be sets off to challenge a series of towers that are rumoured to be able to grant wishes and change fate, but they are deadly places indeed. Driven by curiosity, Shiren and the weasel set out to investigate the tower themselves. Oddly enough, as threadbare as the narrative is for the most part, Tower of Fortune has some real meat in Japanese philosophy and culture. Through his adventure, Shiren will infrequently run into harmless NPCs in dungeons. Talking to these people will give you an insight into the various philosophical positions that the Japanese have formed around fate and consequence, and in so few lines of dialogue, the game is almost as effective in relating these themes as really narrative-heavy games like Final Fantasy XIII do. That it does so with a sense of humour and overblown dialogue not withstanding, this is a game that is comfortable being a cultural artefact. 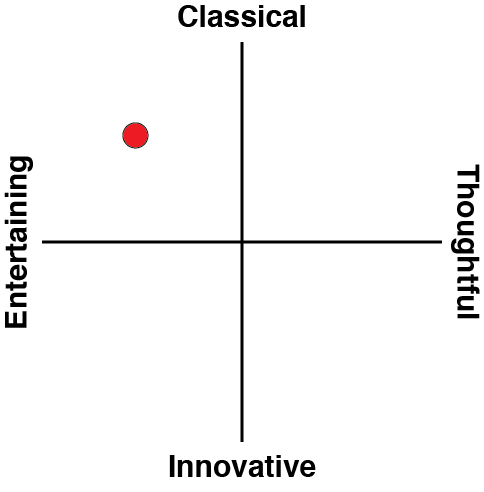 There’s also some moral conflict thrown in for good measure. 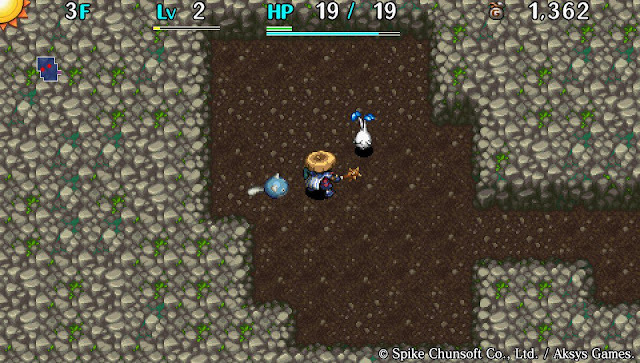 In the first major dungeon, for example, Shiren comes across a fox that has been trapped in a snare. It’s clearly in pain, but foxes, according to Japanese folklore, are tricky beasts and releasing it might backfire spectacularly on Shiren. The question is whether you then set the creature free or not. No, I’m not going to tell you what you should do. Allow your own moral compass guide you. It did impress me that I went into the game expecting a standard roguelike non-narrative experience, but ended up with something that, as minimalist as it is, got me thinking a bit as well. The dungeon crawling action is pure class. Anyone who has played a roguelike before knows exactly what to expect here. 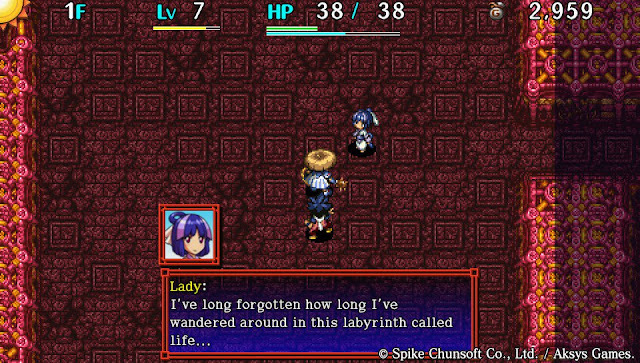 Each time Shiren sets out into a dungeon, he’ll begin at level one. Levels are randomised, so no two adventures will look or feel the same, and you’ll battle through hordes of enemies held within them in order to earn experience and level Shiren up, while also scouring the ground for loot, and the exit to the next level. Enemies steadily become more difficult as the adventure progresses, and soon enough you’ll need to use just about every trick and resource at your disposal to try and survive. Shiren the Wanderer games have always been difficult, and this one is no exception in that regard. Quite frequently I would find myself cruising along a section of dungeon, only for that moment of relative ease to lull me into a false sense of security. That was generally the point where a beast would materialise out of nowhere and wallop me for getting cocky. What’s impressive with Shiren is that if you play cautiously and take advantage of its turn based format (i.e. enemies don’t take an action until you do), then you’re given ample resources to take on the trials, and in theory it shouldn’t be too difficult. But years of experience have made me realise that in these Mystery Dungeon roguelikes everyone rushes at some stage, and everyone suffers as a consequence. The penalty for not giving the difficulty the respect it is due is severe; you’re thrown back to the start and stripped of every bit of equipment that you went in with. This is about as close to permadeath as a game can get without wiping the data clean off the game each time you fail, and it is possible to lose hours of progress through this system. There’s a limited capacity to “store” items; at the top of each of the game’s three towers is safety, and by reaching that point you’ll be returned to town with all your loot, which you can store away safely to access on a subsequent attempt if you should fall halfway through your next foray into a dungeon. There’s also the occasional “escape” spell that will allow you to exist the dungeon part the way through, which is handy if you get something really valuable and don’t want to risk losing it by pressing onwards. In the event that Shiren manages to get back to town without dying, his experience level will still be reset to level 1, but that’s a secondary issue; it’s the equipment that can really make or break an expedition. This also sets up a simple, but enormously effective, risk/reward loop. Do you take your best equipment into a dungeon run, and risk losing it all? Or do you go in with more conservative fare, and keep the best equipment for when you’re certain you’ll be able to pull off a miraculous run? Shiren is a game that is about failure. You will fail hard, fast, and frequently, but slowly over time you’ll come to develop an understanding of which enemies are capable of doing what, and just how far you can push your luck, relative to the equipment you’re carrying and the lay of the land. A good roguelike has players walking a tightrope with failure just a light breeze away, and the difference between staying on the rope, and falling in, is the player’s ability to make a couple of quick mathematical computations. This is certainly true with Shiren, and it is indeed a game of careful risks, planning, and resource management. Related reading: For Mystery Dungeon on Nintendo 3DS, it's hard to look past Etrian Mystery Dungeon. Matt's full review. 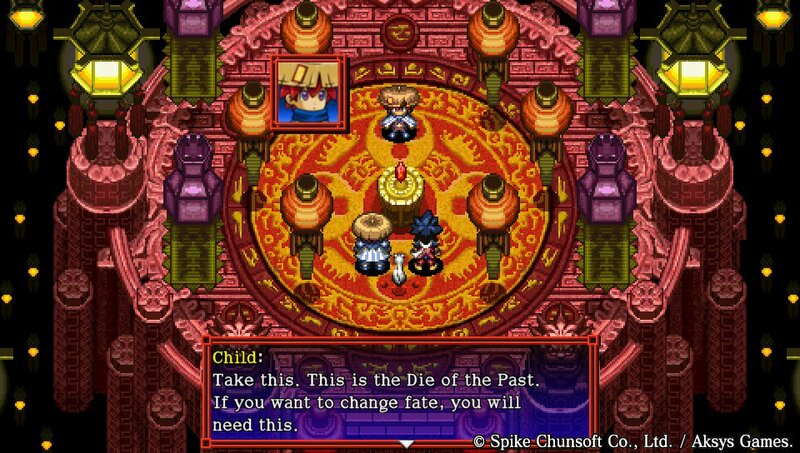 The game hasn’t evolved far from its roots visually – it’s still a purely 2D, sprite-driven game that would have looked at home were it a direct sequel to the Nintendo DS Shiren the Wanderer. That’s not a criticism though, because the sprites are gorgeous, and the environments are beautifully detailed. Enemies are quite adorable, and the overall aesthetic integrates a lot of traditional Japanese heritage to offer something that’s really pleasing on the eyes. Not as many people will play Shiren the Wanderer as should play it. It’s a niche franchise that is presented in such a way that will only ever appeal to a niche… and for whatever reason it’s exclusive to the PlayStation Vita, which is an intensely niche console in its own right these days. But it is also a fundamentally worthy game that boils the roguelike genre down to its most appealing gameplay loops, and is a good, pure, no frills take on an enormously addictive formula.